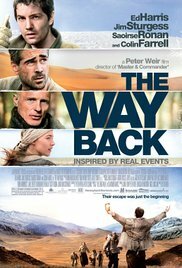 Plot: A small group of political prisoners led by a Pole, Janusz, escapes one of the gulags north of lake Baikal and walks four thousand miles across Siberia, Mongolia, China and Tibet to India. Pros: At times visually stunning. Cons: Although based on actual events, its pompousness manages to kill any sense of sincerity.